Today is the last day of a sudden trip back to Britain. In fact, I should probably be packing now – so I’ll be brief. Places worth visiting from my recent travels. Coach & Horses, Danehill, East Sussex. Teign Cellars, Newton Abbot, Devon. Tucker’s Maltings, Newton Abbot, Devon. Waitrose, East Grinstead, West Sussex. The Amex Stadium, Falmer, Brighton. It’s been 4 months since my last confession post, so I’m feeling a bit rusty. Other (very pleasant) parts of my life have stolen my blogging time. Actually, they’ve limited my time on twitter too. I’m feeling a little out of touch. Must change that. I’ve seen some of the topics for the recent Sessions sessions, and sat frustrated on the sidelines. And now I’ve got some time to snap out a post, I’m a little underwhelmed by the topic. That’s not to say that Heather from BeerHobo has chosen an inferior subject, just that I have little knowledge of it. And I don’t quite know how to start. I enjoy reading a pretty wide range of beer blogs, many of whom will probably take part in the month’s session. And I’m looking forward to learning what their takes are on this month’s subject. I do read beer magazines but if I’m honest, they are my least favourite beer-writing discipline to read. And I haven’t ever examined why, until now. Reading beer magazines tends to happen when my other options aren’t available – a mighty hardback tome on the beach? An iPad in bed? 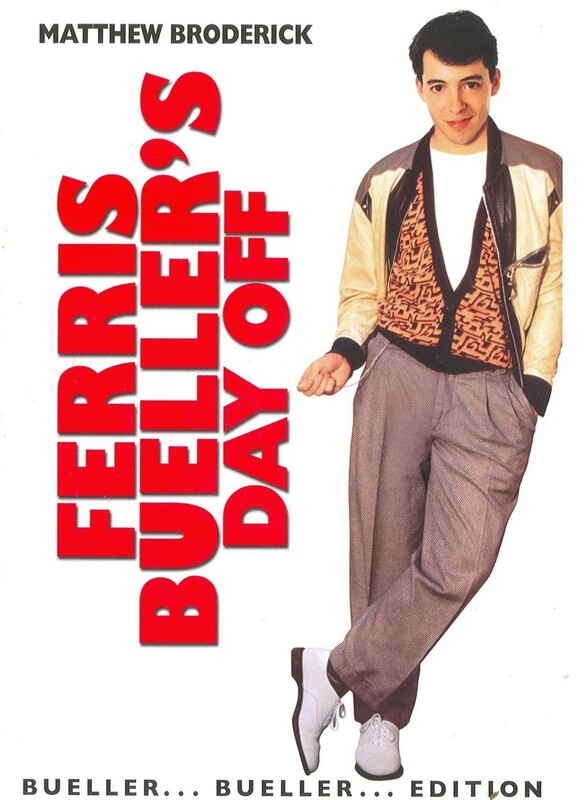 As Ferris Beuller says “Life moves pretty fast”, and the craft beer scene is no different. Small batch and limited release brews seem to come past on a weekly basis, and if you’re slow on the uptake, can be gone before you’ve had a chance to try them. Social media allows the gospel to spread fast and wide. Digital could almost be a synonym for Instant. Contrast that to the slow cycle of a monthly (or bimonthly, or quarterly) periodical. Why would you rely on a magazine to keep abreast? And as for detail? How can a magazine article contain the depth of knowledge of a reference textbook? It can’t, and shouldn’t try to. So what is the point of magazine-style beer journalism? Opinion? Isn’t journalism supposed to be impartial? Hop Hog, by Feral Brewing fits into the guidelines for American Pale Ale, at 5.6%abv….zzzzzzzzzzzz! If it is ok for journalism to be partial, what differentiates it from blogging apart from the medium itself? Some blogs (mine) are only written with an amateur level of skill, and some read very professionally. The same can be said of much newsprint. I have no objection to partiality. 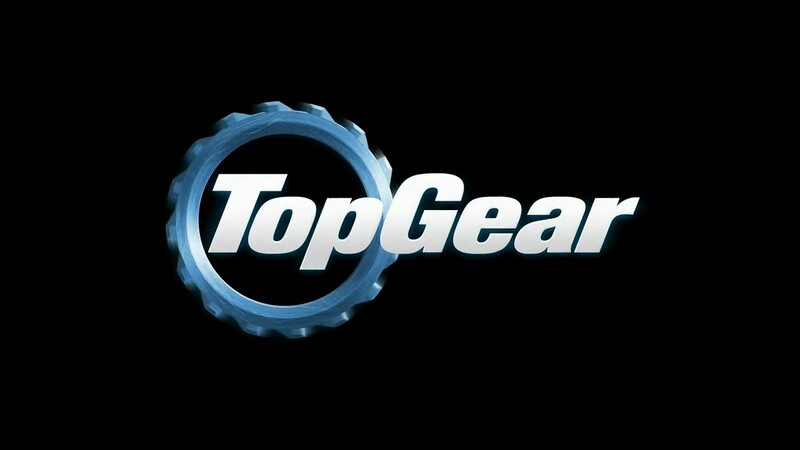 One of my favourite television programmes is BBC’s TopGear. I do love cars and driving, but I mainly watch TopGear because I like seeing the presenters’ different opinions and their defence of those opinions. I could watch Clarkson, Hammond and May argue about anything; cars, washing machines, political theory or beer. Partiality and opinion are of huge benefit. They can lead to discourse and debate, which causes evolution and ultimately improvement. There was recently some stuff on twitter bemoaning the one-eyed nature of some beer writers with respect to certain brewers and breweries. If I am struck by the notion that the beer writer, whose work I am reading, feels that a particular brewery can “do no wrong”, I immediately start to question the value of their opinion. Opinion is not impartial, but affected by the mind of the opinion holder. That said, opinion should not be blind, but formed through thought. And an opinion cannot be wrong, even if it may not be aligned with my own. 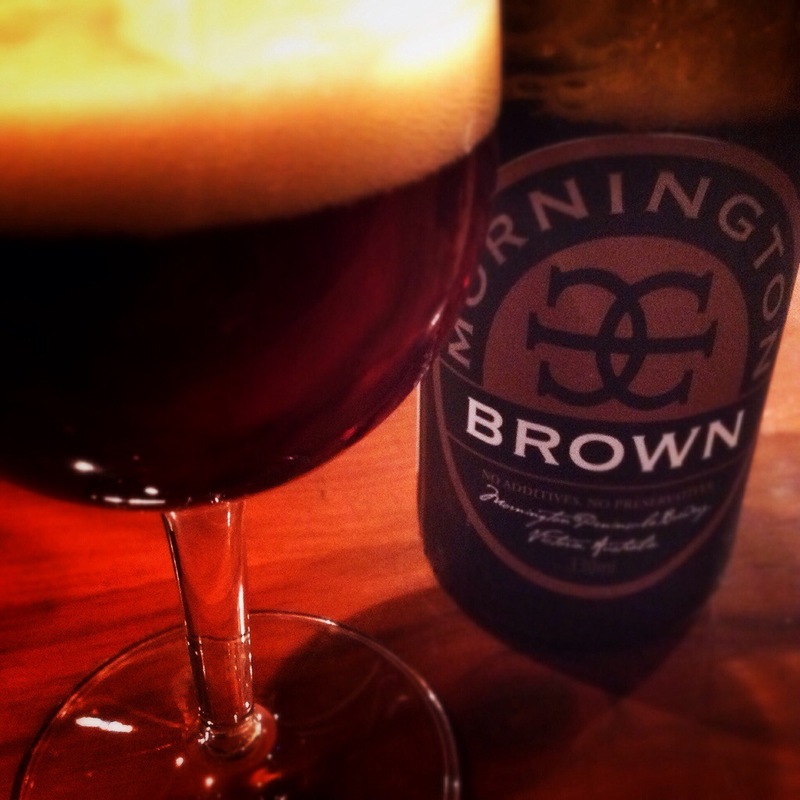 I have written before about Mornington Peninsula Brewery, and I have a lot to say that is overwhelmingly positive. It is my local. I count AG (the head brewer) as a friend. Their Imperial Stout and Imperial IPA remain two of my favourite beers. But some of their stuff leaves me cold – the Sorachi Kolsch and Mosaic IPA just don’t fit my palate. That says more about my palate than it says about the beer. I sometimes receive feedback when I’ve done a particularly good job at work. And occasionally, I get feedback when things haven’t gone perfectly. I love the pat on the back, but I love the raised eyebrow and furrowed brow too. How can I do a better job if nobody tells me where I need to get better? The desire to be the best that you can be is one of the central tenets of professionalism. And the ability to respond to constructive criticism is vital in a professional. As someone who embraces both of those things, I look for the same in others. Feedback is one way in which the craft brewer is different from the macro brewer – and the ease with which that conversation can take place is a boon to both producer and consumer. So what are my thoughts about beer writing? I’ll still use social media and blogs to keep up to date, and books for deepening my knowledge, but I’ll continue to buy beer magazines to read on the loo! 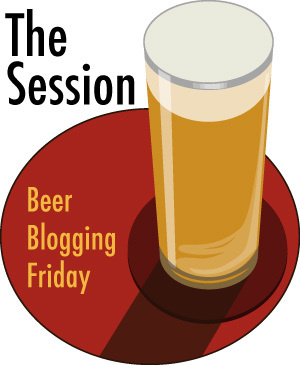 The Session (aka Beer Blogging Friday) is a thing where beer bloggers from around the world think about a predetermined topic and then simultaneously release their thoughts into the wilds of the internet. Imagine those beautiful candle-powered sky lanterns, but with added beer. This month’s thoughts are being corralled by thebakeandbrew.com with the theme; Against The Grain. Basically, what do you dislike that everyone else loves, and why (or vice versa). When I first read the announcement for January’s session, I knew instantly what I was going to write. Unfortunately, I am worried that it is going to seriously undermine any beergeek-cred that I’ve accrued over the last couple of years. I expect that many of this months Session posts are going to read something like; “I keep trying DogFishHead’s 90 minute IPA and, call me a fool if you like, but I prefer the 60 minute” or “I just can’t get past the fact that Westvleteren12 is over-rated“. I quite like [coughs] Corona. With a [coughs] slice of [coughs] lime. Right. I’ve said it, and now am going to be drummed out of the club. But, on the beach, I read fiction – stories about detectives or soldiers or sci-fi. It’s exactly the same with beer; I love a well-crafted pint. A perfectly balanced IPA is a beautiful thing to behold; when the malt bill compliments the hop profile, with neither dominating. Beauty can be found in a mouthful of saison, or a porter, or in a barleywine. And there is majesty in an Imperial IPA or Russian Imperial Stout. But, on the beach, when I have sand between my toes, and sun in my eyes, I like to drink Corona. I know that it’s not a great beer. I know its not really even a good beer. It doesn’t even taste right without a wedge of lime in the neck of the bottle. Or if the sun isn’t shining. It would be easy to say that I have been taken in by Corona’s From Where You’d Rather Be advertising campaign, but I felt this way before it started. Sometimes, a beer is elevated by circumstance. Sometimes, I don’t want to have to think too hard about the beer I’m drinking. Sometimes, I realise that there is a very fine line between beergeek and beerwanker. And nobody likes a beerwanker. Now, did anyone see where I put my barrel-aged, hop-forward, fruit-infused, sour, smoked imperial barleywine? *As an aside, I’ve decided that one day I am going to brew a lambic, just so I can call it lambic pentameter. I might even drink it on the beach. I like one woman more than any other. That one woman said something very wise to me, one night many moons ago, soon after we first met. That one wise woman is now my wife; I knew that I was onto a good thing. * The beer was made by Matilda Bay Brewery, and I’m pretty sure that it was just called Matilda Bay. It had a sandy coloured label, with blue writing. And I can’t find anything about it anywhere. 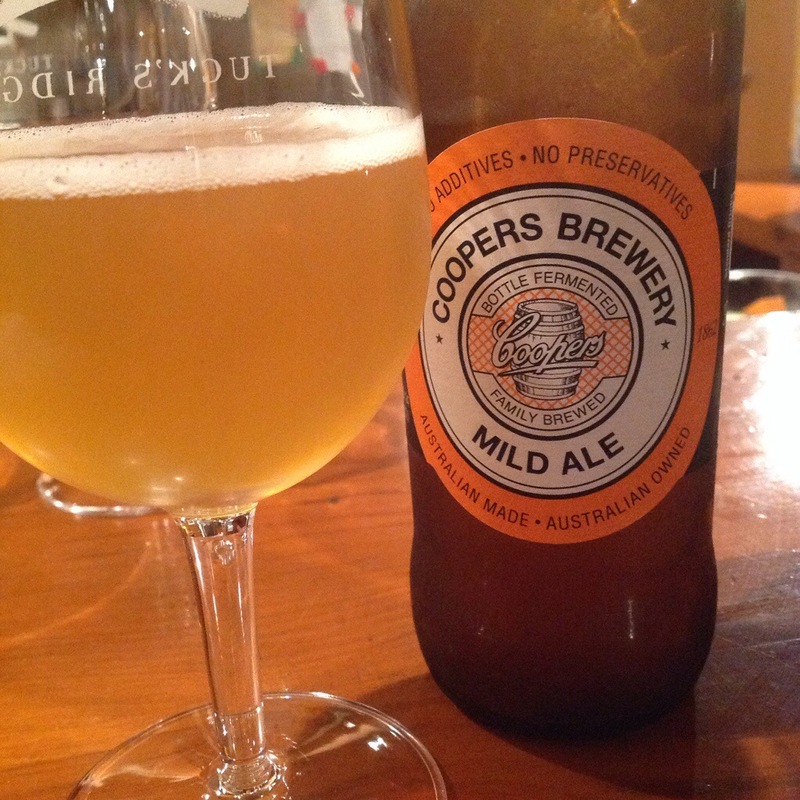 If anyone remembers it, or has an encyclopaedic knowledge of Australian beers available in January 2003, please tell me. The Session (also known as Beer Blogging Friday) is a opportunity, once per month, for beer bloggers around the world to pen their different thoughts on a specific topic set by that month’s host. Today marks the 78th “The Session” and the topic is a good’un. Hosted by James Davidson of BeerBarBand (another beerfriend of mine), the task is to come up with an “elevator pitch” for beer, in 250 words or less. Convert a wine-snob to switch to beer, turn someone from macro to craft, convince yourself that your own beer-addiction is ok… just argue the case for beer before the lift stops, the doors open and your target steps out. I love wine. I love that you can taste sunshine and earth in the grapes. But, although wine can display a spectrum of experience (sweet to dry, delicate to brash), the breadth of that experience is limited because wine is always grape-driven. A pinot noir isn’t that different from a shiraz. It is just fermented grape juice after all. Beer, however, contains four ingredients (malt, hops, yeast, water) which can either be balanced, or one can dominate, resulting in hugely different styles. For example; IPAs are driven by hops, Porters by malt, and Saisons by yeast. And no one is going to confuse a Saison with a Porter, not even a chardonnay drinker. In a specific style, tweaking just one ingredient alters the end result. See Mikkeller’s series of 20 single-hop IPAs (link), or compare two spontaneously–inoculated lambics. Even water exerts a profound effect on flavour, as demonstrated by the public preference for beers from hard-watered Burton-Upon-Trent way back in the 1300s. All wines taste related, but not beers; a yeasty saison bears almost no resemblance to a malty Russian Imperial Stout, yet they can both be amazing. With a limitless palate available, I can’t comprehend always drinking a version of the same thing. It would feel like drinker’s Groundhog Day (link). This month is the 77th time The Session has been run, and the topic has been set by Justin of http://justinsbrewreview.blogspot.com.au/ who wants to know why people get in such a froth about IPAs. Being an Englishman, who spent a large portion of his childhood as an expat in Africa and the Middle East, I understand the romance in the IPA story. When you live a long way from your home and family, there is something deeply reassuring about anything which comes from the old country and links you back to what you left behind: It’s why Aussies in Britain eat Vegemite, and why Brits in Australia crave Marmite. The story goes that only the most heavily-hopped pale ales survived the 6 month journey from London to India (incredibly, the voyage often started out by heading southwest to South America before turning southeast to round the Cape of Good Hope on the southern tip of Africa and then northeast again to India!). As only the most heavily-hopped pale ales survived the journey, they gained the name India Pale Ales (or IPAs). Hops are naturally preservative, so extra hops should equal extra preservation. Unfortunately, “India Pale Ale” is a misleading term for a number of reasons – firstly, styles other than hoppy-pales were also sent to quench the thirst of the colonial British (often in equal or greater volumes – Porter was especially popular!). IPA can’t really claim the India appellation. Secondly, “pale” is a subjective term – yes, they’re paler than porter but they’re darker than true pale ales, saisons, weizens… While I’m talking about IPA colour, what is the go with Black IPA? Let’s look at that again; BLACK India PALE Ale – so that’s pale black is it? Let’s just all agree to go with IBA or India Black Ale shall we? And also, the term India Pale Ale wasn’t even coined until the 1830s, 50 years after the hop-driven ales were first shipped to the colonies. And it was a term used for beers sold in Britain, not in India itself. Nostalgia was obviously in vogue during the 1830s. Plus, the East India Company traded with many British colonies, not just those on the Indian peninsula. So, we’ve decided that both the IPA name and history, have a romance associated with them. And like most romances; there is some degree of rose-tinting but, at the core, there is something truly special. Modern IPAs are hop-tastic, alcoholic and unctious. They are the poster-child of the craftbeer movement, but they’re not for everyone. Some people regard them as severely overrated – a brewed version of the emperor’s new clothes. Me? I’m not really a black and white kind of guy. I think there are IPAs and IPAs (or should that be ipas and IPAs?). 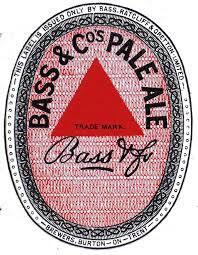 My first grownup beer was Bass. It’s a memory beer for me, but I only recently found out that it is an IPA. It’s hardly hop-driven, and is at the other end of the scale from a modern craft IPA. Speaking of which, I’ve said before that Mornington Peninsula Brewery‘s Imperial IPA is one of my Desert Island Beers (for explanation, see BBC’s long-standing radio interview programme Desert Island Discs – a different interviewee every week for 71 years – where the interviewee or “castaway” must select 8 pieces of music, 1 book and 1 luxury item). I’ll be honest; I love hops. I love the bitterness, the resin, the floral-characters. I love that Fuggles are different from Galaxy, which are different from Citra or Nelson Sauvin. I love that there are brewers like Ben Kraus at Bridge Road and Mikeller who brew whole series of single-hop IPAs, and I love that they really do taste different. I love modern IPAs – it’s the style that I seem to gravitate towards. They’re fun, and can be a bit lairy. They’re complex and interesting, but approachable. They can be a main event or something to drink while watching “the game”. I love hops, and hop-forward beers. But not to the exclusion of malt and yeast. I’ve got so many more adventures to have – why would I miss out on Belgian Dubbels and Tripels, on smoked beers, on peated-beers (props to Yeastie Boys), or on Saisons and Lambics? I’ve never taken part in The Sessions before, but this month it is hosted by a beerfriend of mine, so it seemed like a good idea to dive in. Although I call him a beerfriend, I’ve never actually met Glen – but that doesn’t matter in the craftbeer world. Compulsion! The OED defines compulsion as  the action or state of forcing or being forced to do something,  an irresistible urge to behave in a certain way. Both of these definitions describe the reaction felt when a beergeek sees beer for sale. By the way, I use the term beergeek in an entirely non-derogatory way. I am one myself! Which of the two definitions is most appropriate depends upon what you consider to be the driving force behind the purchase. Definition number 1 gives a little space to be able to share the blame. It worth noting, though, that citing the phrase “the beer made me do it” won’t win you any points in the spousal disagreement that might follow. Definition number 2 doesn’t give any wriggle-room; it implies that the purchase is entirely the fault of the purchaser. Which let’s face it, it is! So, why do beergeeks have an irresistable urge to behave in a certain way (ie buy beer)? It might be a desire to try something new, or stock up on an old favourite. It might be to bag that “must-have” collectable, or simply to be able to sleep at night knowing that the cellar is rammed full. For me, it’s a mixture of all of the above… I’m still very much a learner in the craft beer world, so a large component of the compulsion that I feel, stems from my desire to learn. I want to taste beers that I have heard about, to compare what I taste with what I “should” taste. I want to be able to calibrate my palate against people who know more than I do (everyone else blogging on this topic today?) and can pick the faults. I want to learn more about specific styles, and specific breweries. 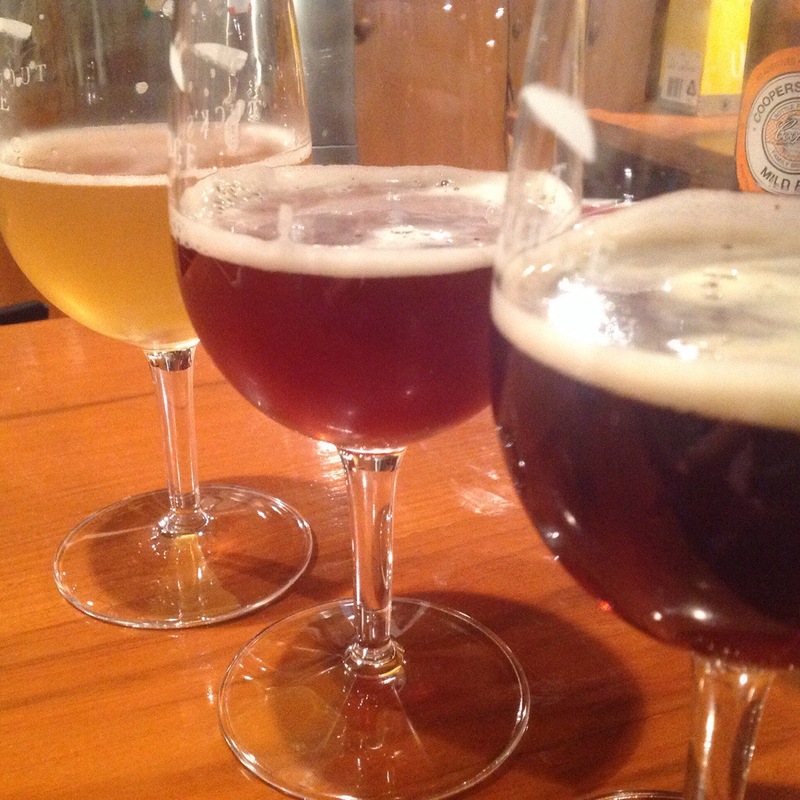 I want to learn more about the different malts, and different hops, and different yeasts. But more than anything, I don’t want to miss any of my craft beer adventure. Every beer is another lesson, another conversation, another leg of my journey. There was a man, far greater than I, whose words can summarise the answer to the question of compulsion. He felt an irresistible urge to behave in a certain way, and he was knighted for it. His name was Sir Edmund Hillary, and when asked why he was compelled to climb Everest he answered quite simply “Because it’s there!“.